Ramee Guestline Hotel is located on NH-7, popularly known as Hosur Road. Spread over 5.5 acres of exquisitely landscaped verdant parkland, Ramee Guestline Hotel is the only environment friendly property serving as a perfect destination for business and pleasure in Bangalore. It features an appealing architecture adorned with elegant interiors that can keep the guests mesmerized with its allure. Rooms of the hotel are charmingly bedecked in contemporary Indian pattern with sublime tones and bright accents. 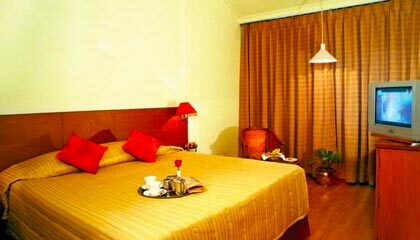 The hotel is filled up with all modern conveniences that ensure the guests a comfortable stay. 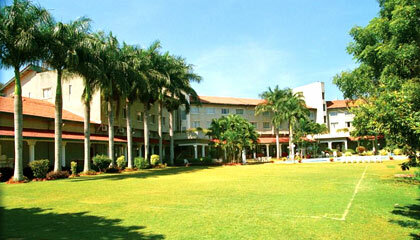 It provides excellent banqueting and conferencing facilities and a wide range of sports and recreational activities. 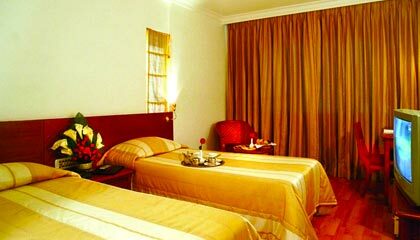 In short terms, Ramee Guestline Hotel is a place to have a memorable stay with all modern comforts. 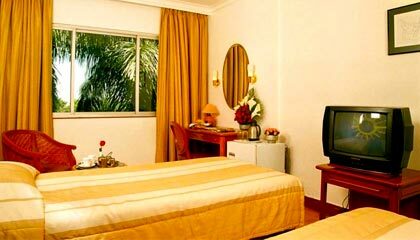 The hotel offers 96 pleasantly decorated rooms, classified into 42 Standard Room, 46 Club Rooms, and 8 Suites. Each room is enveloped with contemporary amenities and services. 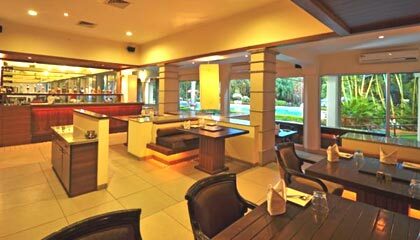 Silver Leaf: A multi-cuisine restaurant serving appetizing delicacies. It's Mirchi: An Indian restaurant serving delicious food.